I have made my views on the creature known as Sasquatch plain in other articles for this blog. I have made it clear that I think that at least some of the giants people are seeing in the woods are kin to the Faery and do not belong completely to this world. In the parlance of modern paranormalists, I think Sasquatch is an inter-dimensional being that is capable of walking into our world and back out of it, pretty much at will. That said, I greatly admire the work of the people who actually go into the woods looking for the creature and who spend their time talking to witnesses, setting camera traps and even flying drones hoping for a glimpse of the elusive ‘booger’. While I think that a lot of them just might be tilting at windmills, it is still admirable that they have the strength of their convictions and are willing to walk their talk. The new anthology from Leprechaun Press, Wood Knocks, Volume 1: A Journal of Sasquatch Research is a collection of articles from the sorts of people who have devoted their lives to exploring the strange and especially to looking for cryptid creatures such as the Sasquatch. The anthology is an easy read, at just over 200 pages, so do not expect extensive or detailed articles, but it is packed with information that new and experienced Sasquatch aficionados will find interesting and informative. In my view, the cover art by Sam Shearon is worth the price of the book, all by itself. The meat of the book is quite good as well. Whether we are talking Sasquatch amongst the First Nations people (David Weatherly) or hunting the Orang-Pendek in Sumatra (Richard Freeman) or talking about the presence of Sasquatch in Wisconsin and its surrounding areas (Linda Godfrey), the writing is, with one notable exception, crisp and there are cases in the book that I had not heard of, side by side, with some of the old standards. I enjoyed this chance to ‘touch base’ with the work of many authors that I admire and some that I did not know. Freeman’s article on the Orang-Pendek made me think that the Sumatrans may have a genuine undiscovered species in their midst. Having said that, there is one article in the anthology that is a confused, rambling mess and could have easily been cut from the line up with no damage to the work. As I noted above, readers will be able to discern this one quickly and will have to decide for themselves whether the tidbits of information in the article are worth the pain of reading the disjointed ramblings of someone with entirely too much research and not enough space to present it cogently. I would have been quite happy if that article had been cut and the other writers given more space to present their research. I had the feeling, in several of the sections, that the authors had a lot more to say but were unable to do so due to the editorial pen or space limitations or both. This is a real shame since, as I mentioned, there is quite a lot of original research amongst the articles. I would have been particularly interested to see Micah Hanks spin his thoughts on abductions out further and Nick Redfern’s article on infrasound was interesting but too short. Wood Knocks is noted as volume 1 of a journal of Sasquatch research. If this is going to be a continuing series of works then the series is off to a good start and, with some minor tweaks, I can see such a series becoming a respected reference amongst those Sasquatch researchers willing to flex their minds a bit and look at new ideas, even if they do not agree with them. I caught this report on Phantoms and Monsters this morning after my own blog posted. The being described in this post sounds very similar to the thing that I saw snatching people off of pathways in the vision reported in my blog this morning. I think that this percipient is quite lucky that he did not become one of the missing and I will be interested to see the witness’ sketch. In my own psychic impressions, I thought this being might be some predator out of the Faery realm (as I have often mentioned, the Faery can be entities of great power and not all of them take kindly to humans) but, in some ways, the speed and ‘shiftiness’ of the being remind me of the many skinwalker reports from the desert Southwest. The short black fur over black skin reminded me of the manwolf reports specific to people seeing the beings in their homes (this would be the ‘Anubis’ sort of manwolf). In any event, I would not assume that this being and entities like it are harmless. Remember that some astral entities have the ability to wrap themselves in etheric substance as they come through and are therefore able to cause real physical harm. If you see something like the being described in the Phantoms and Monsters post, do exactly as this witness did, do not run (may invoke the predatory response) but move carefully and quickly away from the entity and out of its sight. Only try to record the event if you can do so safely. A spectacular video is not worth your safety. 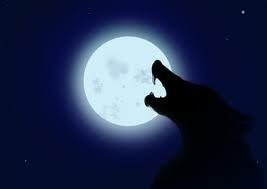 Thoughts on Werewolves or Bipedal Wolves? Anyone who has been reading my blog for a while knows that I have a special place in my heart for legends of werewolves and other shape shifters. I ran across the following blog from erstwhile Fortean investigator Nick Redfern on Mysterious Universe the other day. I could not, of course, resist the desire to comment (or to use this lovely picture that Mr. Redfern included with his blog). I actually addressed the subject of werewolves back in 2013 in a post entitled Werewolves: A Magical Perspective. Reading through Mr. Redfern’s post, I had to admire his flexibility of thought. In the article that I cited for the magical perspective piece, he argues that werewolves and such like must be creatures of the Otherworld. In the recent article from Mysterious Universe, Mr. Redfern argues exactly the opposite – that there might be some animal, similar to a thylacine, indigenous to North America that is causing the Manwolf and werewolf sightings. Now, certainly, Linda Godfrey, the well known writer on the Manwolf phenomenon, has posited that one explanation of these bipedal canid sightings might be a timber wolf mutation/adaptation that caused the animals to stand on their hind legs and adopt a bipedal gait. Anthropologists have great fun theorizing about why the first hominids decided that bipedalism was the way to go. If I really wanted to push this idea to its limits, I might theorize that one of the canid species of North America is developing human or near human (or, perhaps even greater than human) intelligence and has adapted bipedalism to provide greater visual and other sensory input for that growing brain. I will never say that something is impossible but I do feel that there are other and perhaps better solutions to this conundrum. As interesting as such a theory might be, I am still bound to point out that there are sightings on the books that simply can not be explained by reference to a flesh and blood animal. 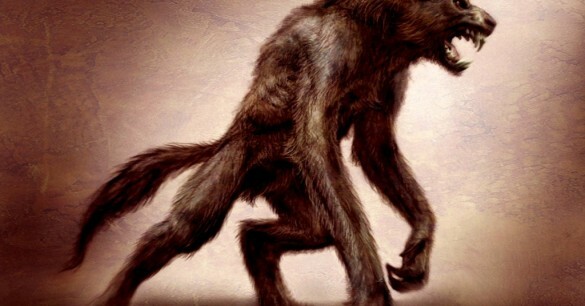 While the thought of a cryptid canid roaming the woods of North America is enough to make me want to get out my hiking gear, such a cryptid would not account for witnesses who tell us that the creatures appear in their bedrooms (Manwolves in the Bedroom) or persons who have experienced a seeming shape shift in progress (The Creature of Mud Creek Road). 1) There is a cryptid canid loose in the forests of North America (and perhaps Europe, for the sake of the werewolf myth in the Old Country) that is bipedal and, at the very least, threatening, if not downright dangerous to humans. 2) There are creatures of the Otherworld coming through portals/window areas and some of those creatures either naturally appear as bipedal wolves or they have adapted that shape for the shock value. Remember that many Otherworld beings feed on energy and terror would certainly be a potent food source. 3) There is the possibility that First People, desiring to protect some of their sacred sites created these beings (thought forms) or summoned them from the Otherworld as guardians of their respective areas. Thought forms are notorious for going off on their own if not given a proper dissolution date or if the creator of the thought form dies before dissolving his or her creation. 4) There are magicians in the world capable of forming an etheric shell that could be made to resemble a wolf or Manwolf. Sighting of someone working this type of rare magic would likely result in a report of seeing a human shift into something other. 5) There are magic workers in the world as well as Faerie beings who can use the power of glamour to make a human being see whatever the worker wants them to see. 6) Finally, there is also the remote possibility that there are actually people in the world who are capable of making a real, physical transition from one form to another. As I have said many times before in these pages, I feel that the power outlay for such a transformation would require the assistance of a Major Being (god, archangel, etc.) but I could be wrong and I do not want to take this completely off the table. As Linda Godfrey says, though, I am waiting for someone to demonstrate. So, I say to Nick Redfern and Linda Godfrey and all the others out there researching this phenomenon and others, keep those theories coming! Half the fun of looking at the things that go bump in the night is seeing researchers think outside the box. I have just finished reading Ryan Skinner’s book Skinwalker Ranch: No Trespassing. I am not really going to review the book; it is a collection of stories and reports put together in book form that outlines some of the activity on and around the area now known as the Skinwalker Ranch. While I would have appreciated a little heavier editorial hand, the reports speak for themselves and the reader can choose to believe what he or she reads or not. For those interested in this specific area, the book is not expensive and does contain some food for thought. I have given my thoughts on why the Four Corners area is the site of so much high strangeness. As I noted in the referenced blog post, the Dine’ (Navajo) have a long tradition of ceremonies in that area but, reading through Mr. Skinner’s book, I was reminded that the Dine’ are not the only indigenous tribe in the area. There are also the deeply secretive Hopi as well as the Ute and Paiute. Each of these tribes has their own medicine ways and those ways have been enacted on this land for centuries. As I said before, no matter how good the magical hygiene of a group is, repeated magical working in a single place or places will tend to thin the veil between the worlds and produce episodes of high strangeness, especially amongst people who are already sensitive to the ‘vibration’ of that magic e.g. the tribal people who have come forward to report some of the events in Mr. Skinner’s book. 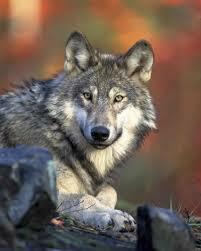 I theorize, too, based on my own experiences, that tribal lands serve as refuges for the creatures of the Otherworld. While modern America wallows in its soup of materialism and lack of belief in anything beyond the senses, the traditional indigenous folks of this land learn early on that there is more to be seen than what can be seen with the physical eyes alone. These peoples attempt to live and work in harmony with the spirits of their land rather than ignoring them. Even those native people who are not raised in the traditional manner are often exposed to the stories of their people at some point in growing up. It is no wonder then that the native lands are host to all manner of beings – both ‘good’ and disharmonic. I have already talked about the presence of ‘interesting’ areas in the Superstition Mountains, a site that is holy to the Apache of that area. When I was younger and working for a non-profit health organization, I was asked to come speak to a group on one of the reservations in the Phoenix, AZ metro area. Quite frankly, I felt the energy shift as soon as I drove onto reservation land. I found my speaking site and gave my presentation then started the drive home. By this time, night had fallen and as I made my way carefully down the road, I spotted a small creature hopping along the side of the road. At first, I thought this was a rabbit but, as I got closer, I realized that I was looking at a miniature version of the Kokopelli image so popular in Arizona. To this day, I can not tell you whether I was seeing this being with my physical eyes or the eyes of spirit but, as I watched, it disappeared by simply fading from my view. I have also had the privilege of living right on the border of one of the Seneca reservations in Western New York. We often bought gas for our vehicles on ‘the rez’ and, again, I noted a subtle change in the energy around me as I moved onto reservation land. During the great Celtic feast of Samhain, when the veil between the worlds is traditionally quite thin, I would sometimes drive through the forest of the area and look into the woods, just to see the variety of beings slipping through those trees, careful not to reveal too much of themselves but nonetheless there. While these experiences were noted more with spiritual senses, I still felt certain that, given the right circumstances, these beings might just pop up in front of someone with eyes to see. Granted, my experiences do not a fact make. As the saying goes, your mileage may vary. In my mind and my experience, however, native lands will always equate to areas where the veil between the worlds is, perhaps, just a little thinner than it is in other places. Given their long tradition of medicine workings and the belief that traditional native people place in those workings, I do not think this is surprising at all.